Anyone who knows me, knows I love steak. If it's on a menu, chances are, I'll order it, and since moving here three years now, it's safe to say, I've tried most across the city. So any chance I have to try a new place, I take it. 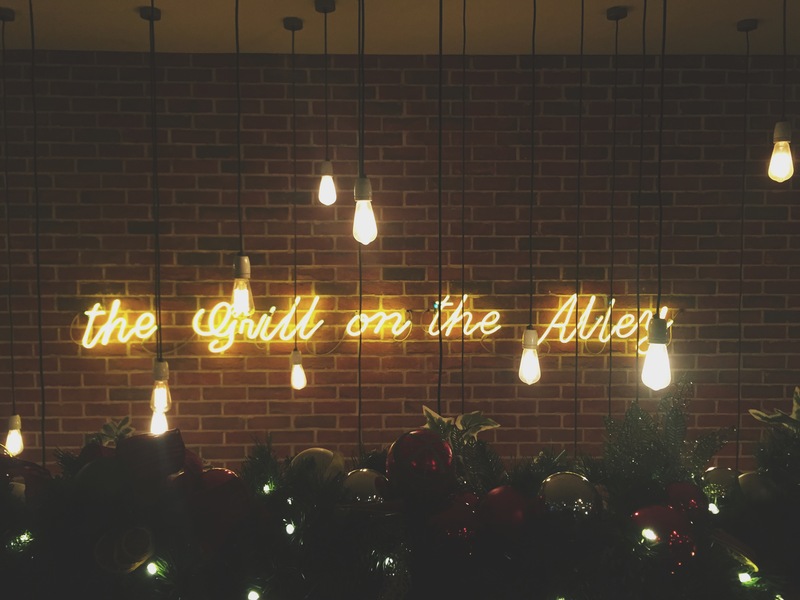 Grill On The Alley, one of two of the Blackhouse grill chain in Manchester (the other on New York Street) is located right in the heart of the city, just a stone's throw away from the town hall. It's hidden away down an alley (hence the name), and away from the hustle and bustle. 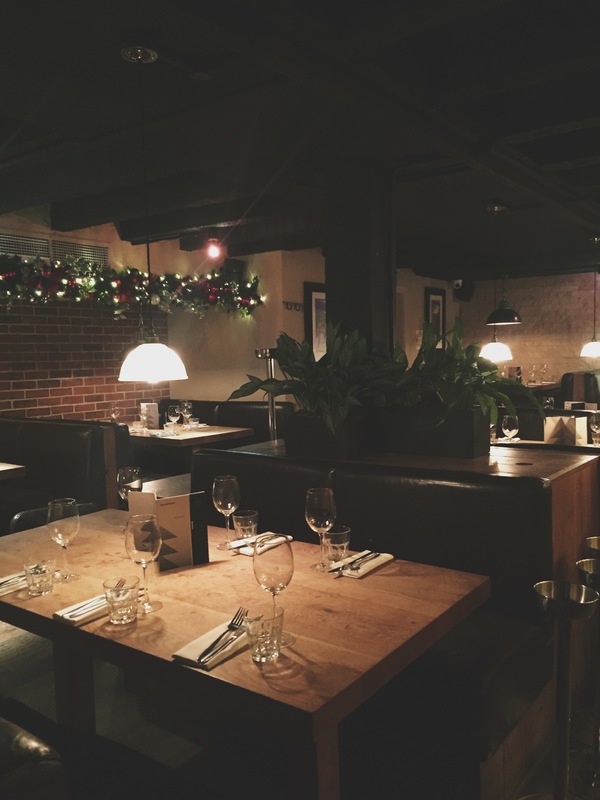 Split over two floors, there's more of an intimate vibe at this location with cosy corners, neon lights and a piano set setting the scene. 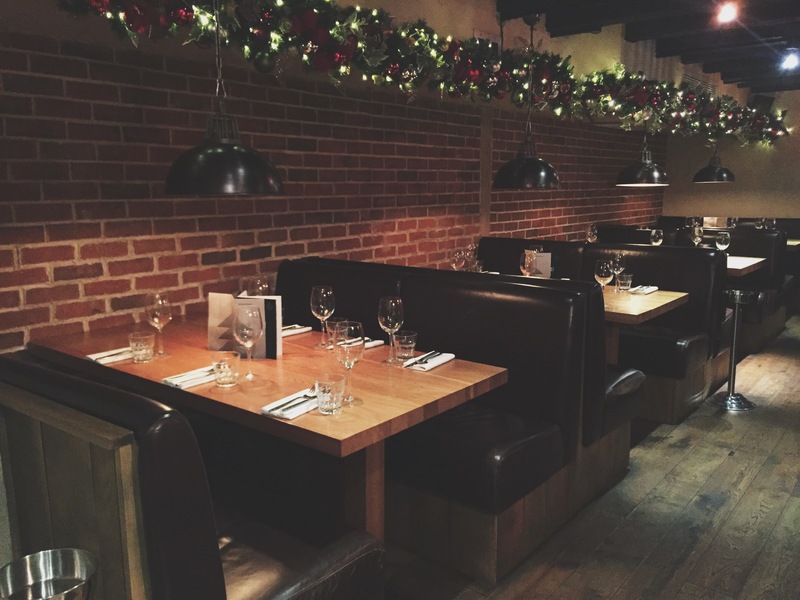 A mix of red brick interior and dark wood finishes give it a warm and welcoming vibe you most definitely need come the colder months. 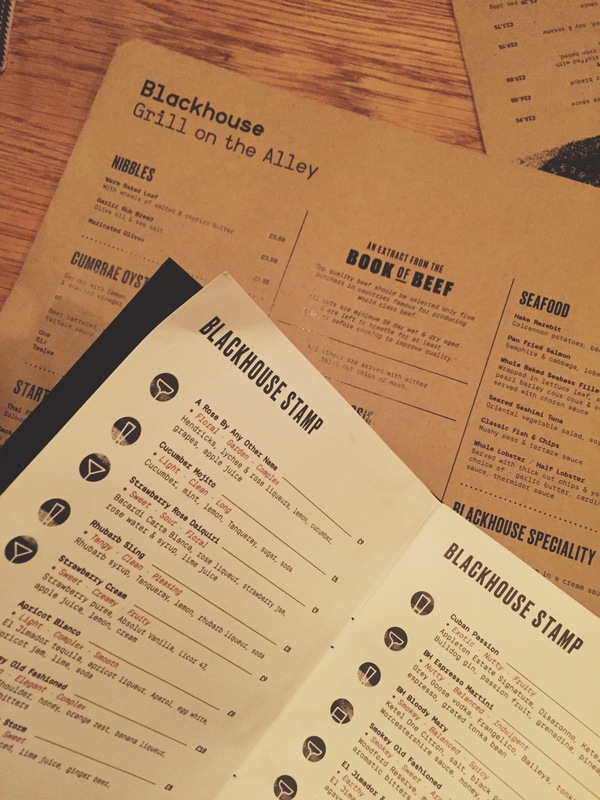 And they've got a mouth-watering new seasonal menu to tempt you through their doors. What's that you ask? Well think of haddock and poached egg, steak frites and fajitas to name a few. And they're all available on the restaurant's super speedy lunch menu - which'll get you lunch, a wine or beer and a dessert to take back to work with you, all for £12.95. From the minute we arrived 'til we left, the staff were warm and welcoming and service quick and speedy. 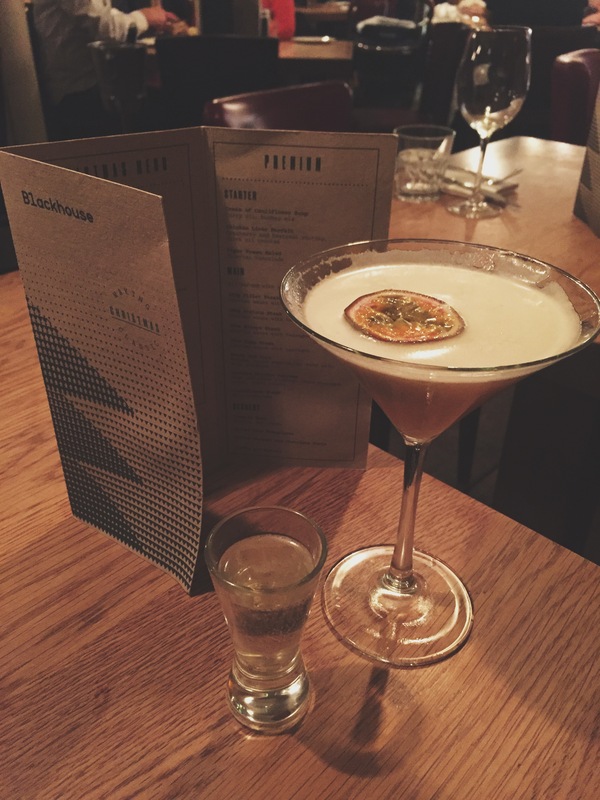 First up was drinks, so instead of having a glass of red, which is fast becoming my current go-to, I went for a pornstar martini, which was light and refreshing, and was worryingly easy to finish. 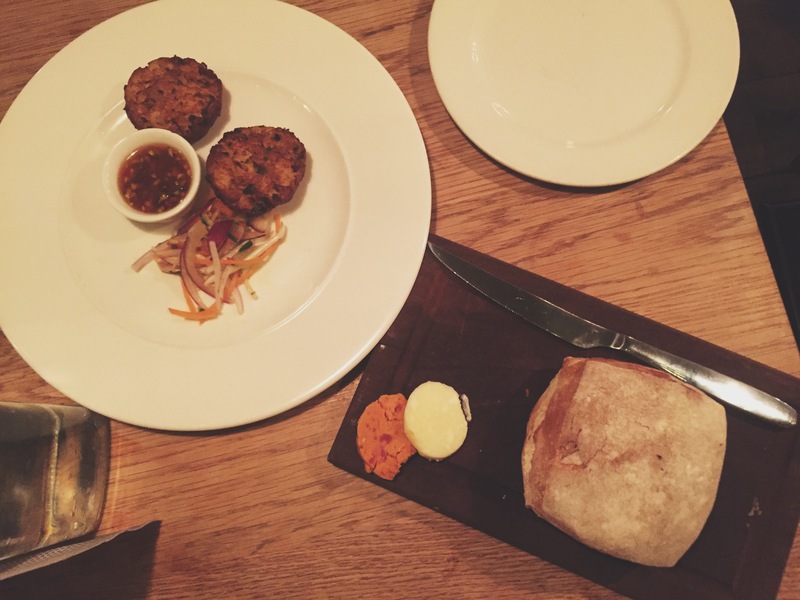 I'm always in two minds about whether to go for a starter or dessert but being on the verge of hangry, a starter it was - a warm loaf and butter and Thai fishcakes. I don't know why it is, but warm bread is always better in a restaurant than when you cook it at home, and was slickly presented. 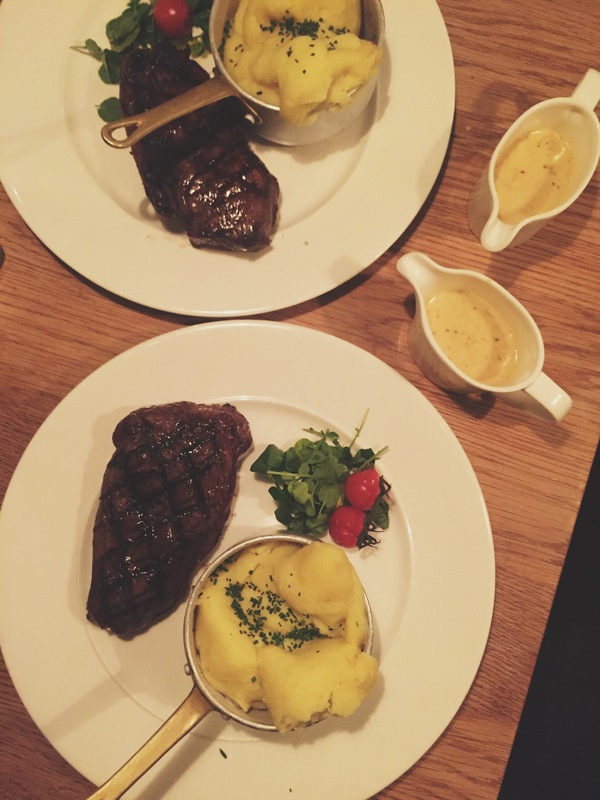 Being in a grill house, it would have been rude not to order a steak - so we did: one sirloin and one rump, with mash and blue cheese sauce. I normally go for a peppercorn, but thought I'd step out of my little box. The Australian Rump comes in two weights, and having not eaten much that day, I went for the bigger of the two: 280g, which for someone with a usual child-like appetite, was the perfect size. The cheese sauce was particularly strong, so not much needed but added an extra flavour to the dish - I had my steak medium-rare and it was cooked perfectly. My only issue, as it were, would be the portion size of the mash as I struggled to even get halfway - but better to have too much, than too little. But from what I did have, it was lightly seasoned and with a more-ish fluffy texture. Shortly after we'd finished the mains, a pianist began, and being a fellow player, it's a feature I'm always a fan of. As for other features I'm a fan of, the staff were attentive and the food? I was pleasantly surprised at how good value for money it was, as it's pretty unheard of to get a good steak and a side for just over £20. And with a great pianist at hand.